The world is facing record numbers of persons displaced by conflict and violence, while the international refugee regime — put in place during the post-World War Two era to provide international protection and assistance — is fundamentally broken. States have adopted policies to deny, deter, and detain asylum seekers. Persons recognized as refugees are routinely denied rights guaranteed by international law. A humanitarian system established to provide emergency care is now called upon to render services for long and indefinite periods of time. Perhaps most fundamentally, no formal process or dependable practice of international responsibility-sharing — vital to finding solutions to refugee situations and to ensuring the dignified and lawful treatment of refugees in the interim — currently exists. The result is that millions of refugees around the world experience a “second exile” — years spent in limbo with little opportunity to rebuild their lives or to contribute to the communities that host them. Most spend those years struggling to survive in just a handful of developing countries. The refugee crisis is not global; but the crisis of responsibility is. In exploring these and other trends, we adopt a revisionist and critical perspective that examines the original premises of the international refugee regime and details how the regime has evolved, and devolved, over the past seven decades. We identify compromises at the founding of the system that attempted to mediate between and among humanitarian and development principles as well as the sovereign control by states over borders and membership decisions. We note that, in the early years, the tensions inherent in the system were largely avoided for a number of reasons (including Cold War imperatives and the limited, European-focus of the Refugee Convention). Today, however, these tensions have come front and center, and have helped to produce the systemic breakdown we are currently witnessing. To repair and reform the current system, we suggest returning to some of the regime’s foundational principles while transcending others. 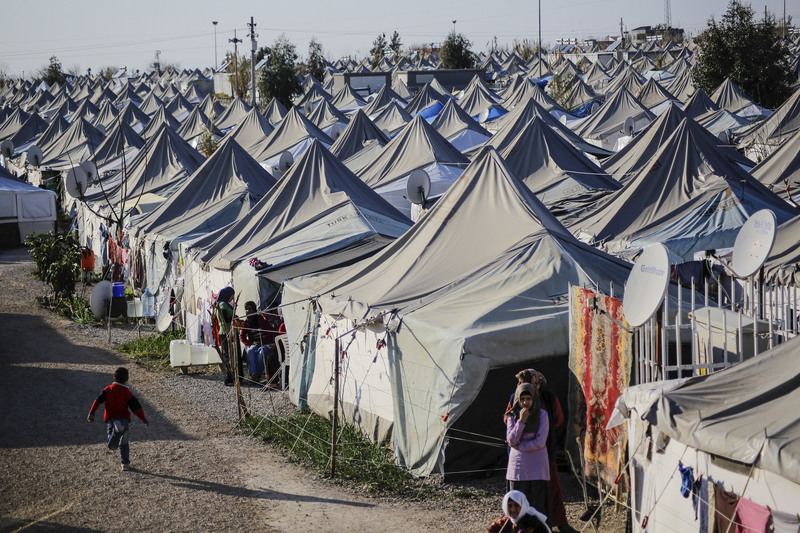 We argue for a focus on refugee rights, autonomy, and mobility. We also urge that changes are needed at the level of structures and institutions, especially when it comes to responsibility-sharing and to the infamous humanitarian-development divide. We pursue these themes and conclusions within the following chapters. The 1951 Refugee Convention is the centerpiece of the modern international refugee regime. Written in the aftermath of World War Two and the beginning of the Cold War, it provides a robust set of rights to persons who find themselves outside of their countries of origin and unable to return because of a fear of being persecuted. Yet the drafters of the Convention were well aware that such a broad humanitarian purpose would be realized within a context of state-based interests. Thus, the sovereign right of states to regulate their borders was not abridged, and refugees were not guaranteed membership in the states in which they were granted asylum. The Convention placed no obligations on third countries to assist states of asylum. The system largely “worked” in its early years: Western states took in persons fleeing Eastern states and provided them with protection, and richer countries provided poorer (European) host states with unprecedented amounts of financial aid. Nor did the regime abide by its geographic or temporal limitations for long. But the tensions and idiosyncrasies built into the system — largely kept at bay in the early years — soon began to bubble over. Indeed, the welcome expansion of the concept of refugee precipitated a number of problematic shifts that, in effect, created a two-tiered refugee regime: the focus on assistance rather than rights; the movement away from a development paradigm aimed at protecting rights and expanding state services to a neoliberal approach that undercut the capacity of host states to provide for basic economic security; and the adoption of “ non-entrée” policies in the North that served to contain refugees in a few beleaguered states in the global South. We trace the emergence and evolution of these trends and underscore the extent to which they have paved the way for the current systemic failure. 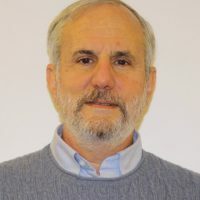 Scholars have developed a number of philosophical positions on the question of “who is a refugee?” Some attempt to provide a justification for the Convention’s narrow (if malleable) definition; others seek to expand the definition to any person who lacks the protection of his or her home country. We adopt the concept of “necessary flight,” and suggest that all persons forced to leave their homes because life there has become intolerable merit a response from the international community (this is a far larger class of persons than presently covered by the Convention). To say that a person warrants a response from the international community is not to say that all “fleers of necessity” are automatically entitled to all the rights guaranteed by the Refugee Convention — although we argue that persons fleeing violence and conflict should be so guaranteed, even if they do not currently come within the Convention’s definition. International practice (OAU Convention, subsidiary protection in the EU) already supports this expansion. The concept of necessary flight starts from the assumption that persons who flee their home states do so for a congeries of reasons and that legal (and moral) standards that seek to identify a single reason (e.g., fear of persecution) are artificial and under-inclusive. In asserting the concept, we critique the current mobilization of the terms “protection” (which is generally rendered in terms of a lack of protection at home) and “international protection” (which is understood to mean a surrogate for the protection denied at home). We find no basis for reading a lack of protection at home into the definition of refugee, and argue that international protection means the full set of rights (from the Convention, human rights law, and other international norms) to which fleers of necessity are entitled. We further juxtapose this definition of international protection both with the “modern standard account” and with the assistance-based regime that has supplanted the rights-based one throughout much of the world. The core concerns of international protection are often understood to be non-refoulement and international humanitarian assistance. We believe these elements, while front and center in today’s regime, cannot in themselves achieve the overall aim of international protection, which is to remedy the harms of forced displacement. We therefore offer a broader account, focusing first on three core commitments that can be derived from the original premises of the refugee regime: offering safe haven to necessity fleers who have escaped violence and other atrocities; enabling such persons to rebuild their lives or to provide for their welfare when they are unable to do so; and helping them exit from the category of uprooted altogether. We refer to these three elements of protection as: safety, enjoyment of asylum, and solutions. To these more established three, we add two more: enhancing the ability of the displaced to pursue opportunities for economic, educational, and social advancement through movement; and ensuring that those displaced have a role in crafting the international and domestic responses to their displacement. We refer to these two additional commitments as mobility and voice. Together, these five commitments recognize and seek to protect refugee agency and to restore the hope and possibility of human flourishing. Starting from these commitments gives a dynamic reading to the concept of international protection, and one distinct from the view (frequently asserted) that the core concern of international protection is non-refoulement and international humanitarian assistance. To us, the success of international protection is when it puts itself out of business. In this story, rights play an essential role, but they are one of several means to a larger end. If the international refugee regime is failing, whose job is it to fix it? We press several arguments as to why states, and especially powerful states (as well as their international organizations), have a responsibility to mend the system that they have created and through which they control the movement, reception, and lives of the forcibly displaced. Our argument is to some degree a legal one, focusing on instruments and doctrines that have some force in international law. Perhaps more importantly, we make claims based on functionalism (what the protection regime requires, in a deep sense, if it is to stop failing) and on principle (one that attempts to provide a “moral fulcrum” for change). We focus, in particular, on protracted refugee situations, with the aim to establish whether there exists either a “right to a solution” or a “responsibility to solve.” The root problem, we show, is that there can be no right not to be a refugee unless and until there is a corresponding duty on some country, some political association, to take a refugee in and to make her a member. But, we argue, that is largely because we still live in an Arendtian world where rights are understood to be state-provided; solutions, by contrast, are collective undertakings. Thus, we zero in on the responsibility of the international community, rather than a right of a refugee (or a concomitant obligation of a host state only). 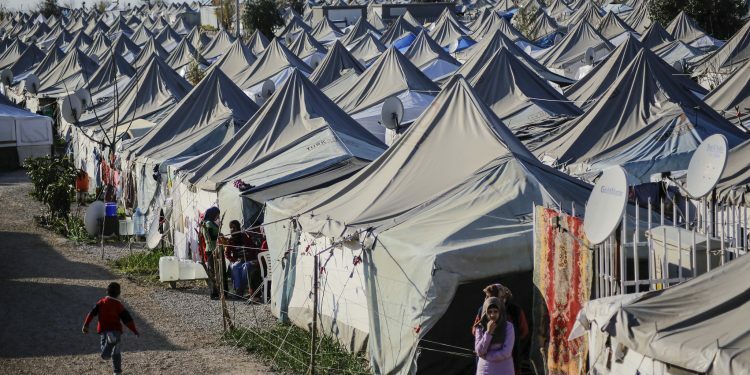 We present three interrelated arguments in support of what we call the “responsibility to solve.” The first flows from the human harms imposed on those left in the limbo of refugee status for an extended period of time; the second focuses on principles that underlie the international protection regime (the goal of a solution, and burden-sharing); and the third derives from specific commitments of members of the UN General Assembly and signatories to the Convention to cooperate with UNHCR in seeking solutions. Over the past 70 years, we have witnessed substantial movement forward along the arc of protection — at least in certain respects. Today, more displaced persons are being assisted by more actors in more ways and for long periods of time than at any point in history. It is thus an extreme irony that the system is largely in disarray, betraying its founding principles and enduring goals. A regime intended to put people back on their feet keeps them on their knees. A system of protection intended to guarantee the return to normal life has produced a surreal existence for the vast majority of displaced persons, condemned to life in perpetual limbo. The country of first asylum — the place of rescue — has become, for most refugees, a place of confinement where they are both locked in and locked out: unable to return safely home and forbidden to move elsewhere, they are also denied entry into economic opportunities and social programs in hosting communities. Humanitarian programs have supplanted rights-based approaches, producing deprivation instead of dignity. Economic programs have retreated even further from their welfarist origins, too often prioritizing global markets instead of the global poor. Plainly, dramatic measures are needed to repair this broken system. The programs for reform proposed by those with most of the world’s resources — the global North — are likely to reinforce rather than remedy the fundamental failings of the current state of affairs. We leave to one side proposals that would move the system backwards on the arc of protection — that would cut back on the definition of refugee, adopt encampment policies, or restrict established refugee rights. We examine instead what we label the New Liberal Consensus on reform of the refugee regime — and show how it, too, has the tendency to serve as a maintainer of an intolerable and unworkable status quo. In its stead, we offer a series of proposals that, we think, are capable of addressing the underlying challenges of the international protection regime.